The apex court said that acceptability of leprosy patients in the society would go a long way in reducing the stigma attached to the disease and passed a slew of directions to the Centre and the state governments for launching massive awareness programmes. In a bid to remove centuries old stigma attached to leprosy patients, the Supreme Court Friday directed the Centre to consider framing separate rules for issuing them disability certificates so that they can avail of reservation and various other welfare benefits. A bench comprising Chief Justice Dipak Misra and Justices A M Khanwilkar and D Y Chandrachud said due attention must be paid to ensure that leprosy affected persons are issued Below Poverty Line cards so they can avail of benefits under Antyodaya Anna Yojana and other similar schemes which would enable them to secure their right to food. The top court said: "The Union and the State Governments must pro-actively plan and formulate a comprehensive community based rehabilitation scheme which shall cater to all basic facilities and needs of the leprosy affected persons and their families. The scheme shall be aimed at eliminating the stigma that is associated with persons afflicted with leprosy. "The Union Government may consider framing separate rules for assessing the disability quotient of the leprosy affected persons for the purpose of issuing disability certificate in exercise of the power granted under the Rights of Persons with Disabilities Act, 2016." It further said that awareness campaigns must inform that a person affected by leprosy is not required to be sent to any special clinic, hospital or sanatorium and should not be isolated from family members or the community. It said that awareness campaigns should also inform that a person affected with leprosy can lead a "normal married life, can have children, can take part in social events and go to work or school as normal". The court asked the Centre and states to consider the possibility of including leprosy education in school curriculum to give correct information about leprosy. "The Union and the State Governments must ensure that both private and public schools do not discriminate against children hailing from leprosy affected families. Such children should not be turned away and attempt should be made to provide them free education," it said. Asking the agencies not to use frightening images of people hit by leprosy, the top court said the content and information in the awareness programmes should use positive images of cured persons sharing their experiences of becoming healthy. "The Union and the States are to ensure that drugs for management of leprosy and its complications including the Multi-drug therapy (MDT) drugs are available free of cost and do not go out of stock at all Primary Health Centres or public health facilities in the country," it said. "All-year awareness campaigns should also be run, by the Union as well as the States, to inform the citizenry that under the National Leprosy Eradication Programme cases diagnosed through general health care system including NGOs, treatment is provided free of cost to all leprosy," it added. Stressing on the need to organise seminars, the court asked the Centre and the states to conduct programmes at all levels which serve as platforms to hear the views and experiences directly from the former patients and their families as well as doctors, social workers, experts, NGOs and government officials. It directed the Union government and states should undertake periodical national surveys for determining the prevalence rate and new cases detection rate of leprosy and publish reports of the National Sample Survey of Leprosy conducted in 2010-11 and later period into the public domain. "The activities of the National Leprosy Eradication Programme must be given wide publicity. On leprosy day which is internationally observed every year on the last Sunday of January, the Union of India along with all states should organize massive awareness campaigns to increase public awareness about the signs and symptoms of leprosy, the court said. "Awareness should also be spread about the free availability of MDT at all government health care facilities in the country, the prescribed course for MDT treatment and all other relevant information related to MDT. 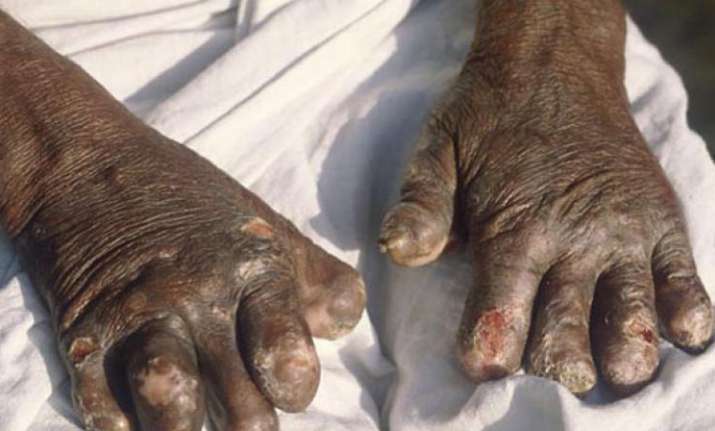 The Union and the States are to ensure that drugs for management of leprosy and its complications including the MDT drugs are available free of cost and do not go out of stock at all Primary Health Centres or public health facilities in the country," it added. The top court said that health care to leprosy patients must be such that medical officials and representatives desist from any discriminatory behaviour while examining and treating them. "It must be ensured that there is no discrimination against women suffering from leprosy and they are given equal and adequate opportunities for treatment in any hospital of their choice. "Patients affected with leprosy, for whom partial deformity can be corrected by surgery, should be advised and provided adequate facility and opportunity to undergo such surgeries," it said. The judgement was passed on a PIL filed by advocate Pankaj Sinha alleging that the government was not taking adequate steps to eradicate the disease.